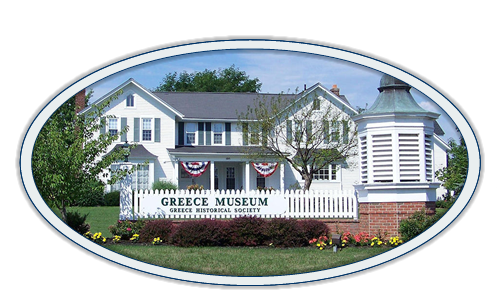 The mission of the Greece Historical Society is to discover, research and preserve the history of the Town of Greece and to share that history with its residents and the local community through public programs, publications, museum exhibits, and accessibility to its archives and artifacts. The Society is an all-volunteer not-for-profit educational institution chartered by the NYS Board of Regents. The Society owns and maintains a house and museum located at 595 Long Pond Road in Greece, NY. Town Historian Virginia Tomkiewicz organized the Society in 1969. In 1978, the Town of Greece provided a house on English Road for the office of the historian and meeting space for the Society. In 1988, under the initiative of Town Supervisor Donald Riley, Wegmans Food Markets sold a house that was formerly owned by Gordon A. Howe, Greece Supervisor and Monroe County Manager, to the Society for $1.00 and generously funded moving the house to what is now the Greece Town Campus. In 1992, with the help of Senator Joseph Robach, the Society was awarded a NY State grant to build a museum addition, and with additional financial help from Donald Newcomb, the museum addition was opened and named Newcomb Hall in his and his family’s honor. The office of the Town Historian was located at the Greece Historical Society until 2016, when it was moved to the Greece Public Library. 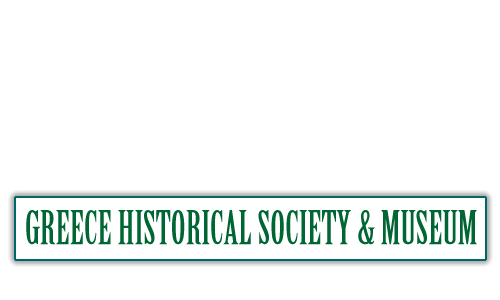 Funding for the Historical Society comes from memberships, contributions from individuals, organizations and businesses, museum shop sales, grants, and fundraising events. More details on services and activities recently performed by the Society can be found in the 2018 annual report to the Board of Trustees. The society is governed by a Board of Trustees elected by society members at the annual meeting held in January. The board meets seven times a year and members are welcome to attend the meetings. Executive, Audit, and Nominating committees are standing committees required by the By-Laws of the Society. Operational committees are Finance, Marketing, Museum Collection Management, Property/Office Administration, and Computer Management.